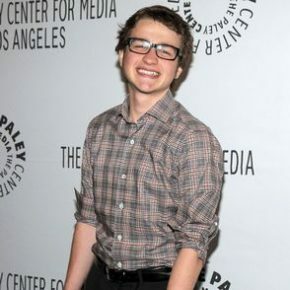 Angus T. Jones has found himself in the middle of a controversy because he has taken a controversial stance against the show in which he stars, Two and a Half Men. If you watch Two and a Half Men, please stop watching Two and a Half Men. I’m on Two and a Half Men and I don’t want to be on it. Please stop watching, please stop filling your head with filth. Please. People say it’s just entertainment… Do some research on the effects of television and your brain, and I promise you you’ll have a decision to make when it comes to television, and especially with what you watch on television. It’s bad news… a lot of people don’t like to think about how deceptive the enemy is. He’s been doing this a lot longer than any of us have been around. There’s no playing around when it comes to eternity. It is not surprising that Angus’ words have garnered a lot of attention. It has been made known by almost every commenter on this situation that Angus makes $350,000 per episode and that the show is the only reason that people care about him in the first place. Angus is biting the hand that feeds him, so to speak, which is a cultural faux pas in a society where many people struggle to feed themselves. Many celebrities have chimed in on the apparent contradiction of Angus’s beliefs. Andy Richter from the Conan O’Brien show sympathized in jest with Angus’s inner conflict of appearing on a show that he would describe as “filth,” and Rainn Wilson and Matthew Perry both parodied Angus’s interview in order to garner attention for their own shows. I have been the subject of much discussion, speculation and commentary over the past 24 hours. While I cannot address everything that has been said or right every misstatement or misunderstanding, there is one thing I want to make clear. Without qualification, I am grateful to and have the highest regard and respect for all of the wonderful people on Two and Half Men with whom I have worked and over the past ten years who have become an extension of my family. What is interesting is that Angus’s apology makes it more than apparent that having a personal conviction in any way shape or form is a tricky business. The consequences of having a conviction will almost inevitably go beyond the intentions of that conviction. Thus, what has been missed in this controversy is the deeper conflict between one’s personal convictions and one’s social responsibilities. Should an individual forgo their personal convictions so as to not disrupt social sensibilities? Is there a place for an individual to speak against the system in which they find themselves? And what happens when someone has a change of heart, or more controversially, a religious conversion? Well Angus, here is my advice to you. Do what I do: smile, nod politely, and trudge onward through the filth. And as for those nagging little things you call feelings and a personal belief system, well there is a place for those and that place is hidden deep down inside yourself where no one, not you, your family, or even the shrink you have been lying to for years will ever find them. You wouldn’t believe how many feelings you can fit down there if you shove really hard. Instead of speaking about our beliefs or convictions — which are often confused with personal “feelings” — we are to bury our personal convictions for fear of being politically incorrect even if the thing we may be challenging — like Two and a Half Men — is itself politically incorrect. This is why communicating personal convictions in a public setting is a tricky business. But, just because something is tricky doesn’t mean that it should be avoided. This is why Angus’s attempt to voice his personal convictions should be defended, because if personal convictions are not defended then we are in danger of conforming to the lowest common denominator – something I don’t think anybody would support. The question then becomes, what would you do if you were Angus T. Jones? Or, what do you do when your personal convictions don’t line up with your social responsibilities? Do you evade or engage?